Bitcoinist caught up with Youval Rouach, co-founder and CEO of Bits of Gold, an Israeli Bitcoin cryptocurrency trading platform. 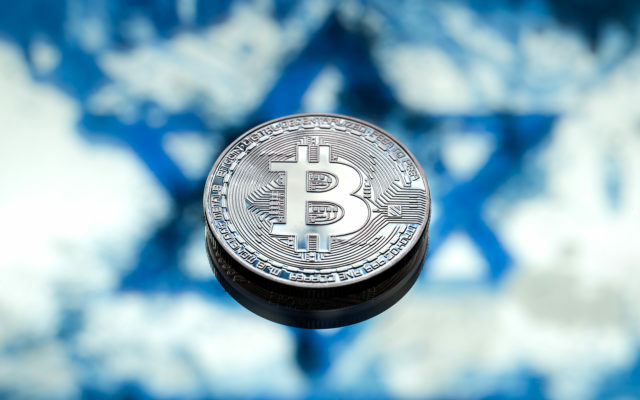 Rouach explains the regulatory situation in Israel for cryptocurrencies and his company’s plans moving forward. Bitcoinist: When did Bits of Gold launch" Why did you decide to start this business"
Youval Rouach: Bits of Gold was founded by my brother Jonathan (Co-Founder and CEO of QED-it) and I at 2013, and on January 13th we are celebrating exactly 6 years of activity. We decided back then that we need to spread the word about Bitcoin and we knew that Israel should have its own cryptocurrency trading platform. Do you operate only in Israel" Why is the company registered in Bulgaria"
Bits of Gold is registered and licensed in Israel and serves mainly the Israeli market. Bits of Gold also has a daughter-company registered in Bulgaria that processes the credit cards transactions, since the Israeli acquirers (that also are in control of the issuers of the credit cards, which is twisted by the way) prohibit the process of credit cards for cryptocurrency transactions. We definitely have plans to use both our Israeli and Bulgarian entities to expand our services to Europe and other international markets. What kind of demand for trading bitcoins have you seen through the years" Can you provide some numbers"
The overall demand for Bitcoin over the last six years has obviously increased significantly and is usually correlated with the rate of Bitcoin, at least when it comes to the retail market. I believe that correlation can help you assume the numbers. The interesting part is the increased demand for B2B trading services during the last year, even though the Bitcoin rate decreased since December 2017. We see the crypto ecosystem evolve in front of our eyes as a wider range of businesses seek to trade cryptocurrencies. Our main focus is still private users, but there is a lot of potential for business and institutional deal flow in 2019. You previously stated that you have no plans to launch in the US because of the regulatory climate there" Is this still the case"
We do our best to work in the safest ways possible in this volatile regulatory environment. Our legitimacy is derived from our regulatory moves and decisions and we owe that to our customers. The United States has a unique legal framework for crypto business that is currently not fit for our activities, hence we’ve decided to keep strengthening our existing infrastructure. What other jurisdictions are you looking to expand to"
The European Union will probably be our next target market. What do you see as the biggest barrier to bitcoin adoption"